London has a �60 million bill for this project (3 times the Cairngorm funi?) ... which is for the Mayor (a ski enthusiast) to justify! Edited 5 times. Last edit at 15.21hrs Wed 11 Apr 12 by David Goldsmith. A Barnet Consequential of that spend would be worth �6m to the Scottish Government, that would go someway to funding a Glenmore Gondola! 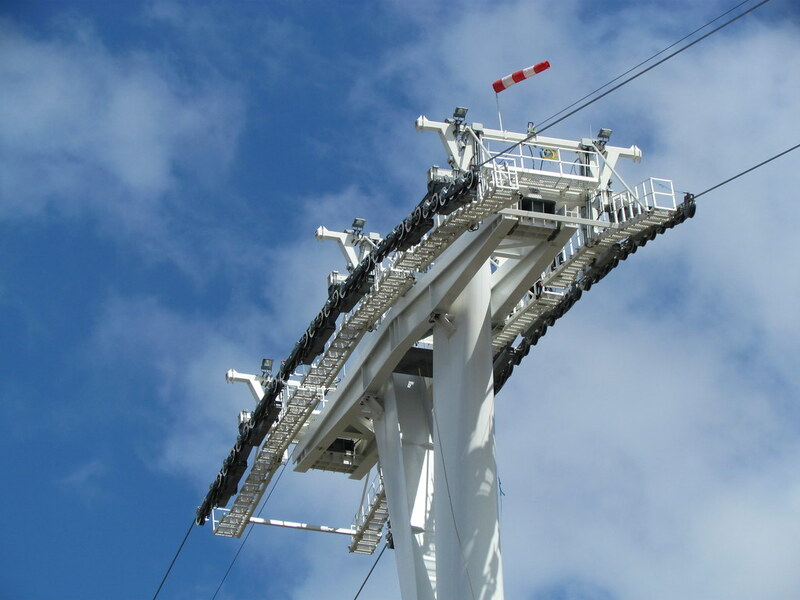 The cost quoted for this project is intriguing, since it seems to be at least double the cost talked about for gondola systems installed in much more challenging locations and weather conditions, up high mountains. I imagine that the lift stations will be comparable to anything we'd see in the Alps (or Aonach Mor - Nevis - for that matter). Clearly the pylons are out of the ordinary, and the foundations for those are probably unusual in terms of engineering. I assume price of land and the fact the towers are not using 'off the shelf' components must have a significant impact on cost? Be interesting to see what % of total relates to the towers and how much of their cost is down to their design style. 60 feckin mil for a gondola over a few hundred feet wide river?? I'm not a regular visitor to London but I'm very sure that the Thames has dozens and dozens of bridges over it. Hard work living in these times of austerity eh? Or so they tell us, while on the other hand they are spunking billions and waving an open blank cheque book for a two week event most of the people paying for will neither see, nor care less about. 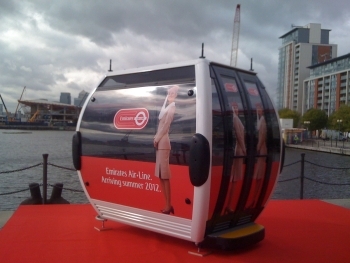 This gondola brought the VAT on public transport vs cableways situation to the heart of London, a 3/4s reduction in VAT rate on ski tickets, Chairlift and Nevis Gondola tickets that popped up in the Budget is very welcome ! However the fact that you need to waste 60 million on a gondola in the centre of London to bring a change to that ridiculous law, when they have been ignoring the ski resorts for years, just highlights once again how south east englandshire is everything and the rest of us are the square root of nothing. The sooner that the HS2 is built and then extended to Scotland the sooner that the UK's economy will be more networked and distributed." "The 50mm diameter wire rope runs 1.1km across the river. 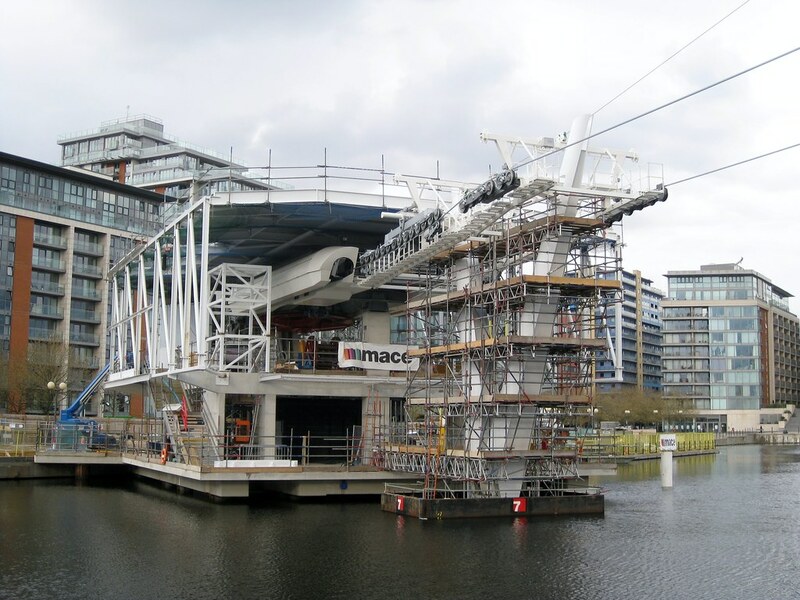 It was pulled into place and tensioned using a 12t winch located on the platform of the so-called South Terminal on Greenwich Peninsula." "We used boats to make the initial rope connection during the short night-time window when the tide was at its lowest ..."
Do you think it will take the DoT nearly a year after completion to send someone to declare it safe under the cableways directive? I imagine the operators will want them there in the next 6-8 weeks! Edited 1 times. Last edit at 09.34hrs Mon 23 Apr 12 by David Goldsmith.